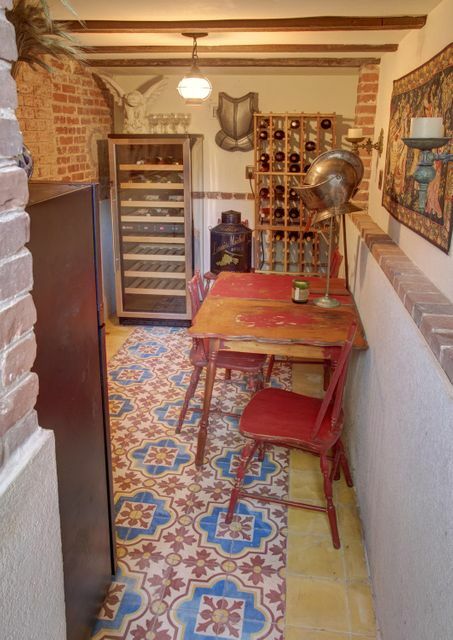 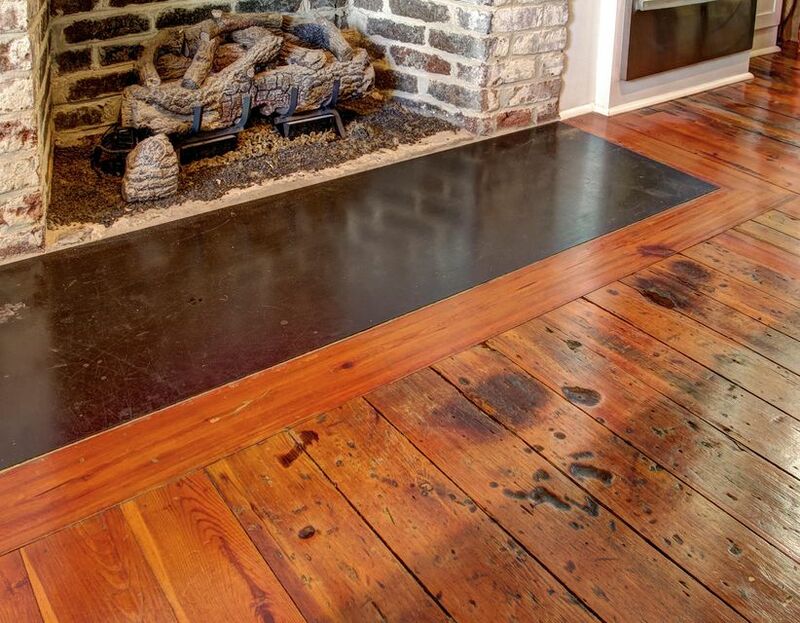 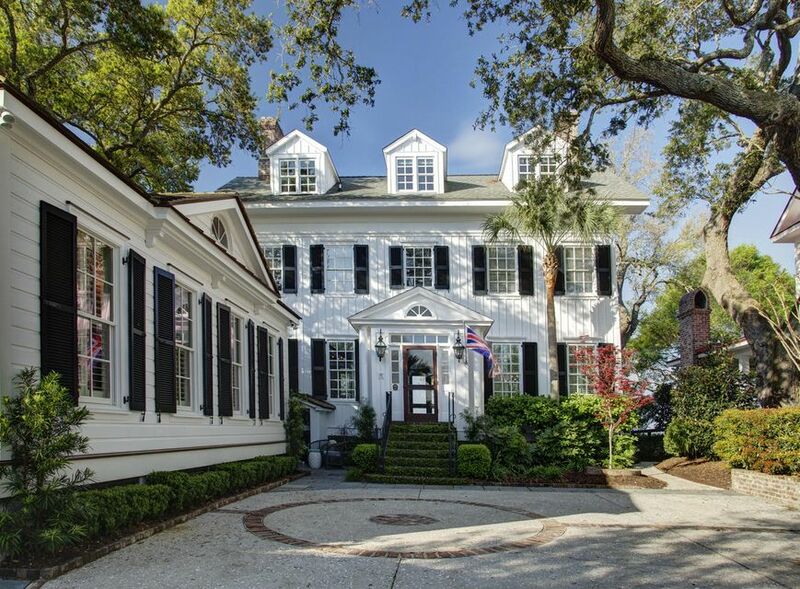 Located in the heart of the Old Village, this stunning and masterfully preserved home is one of the oldest private homes in all of Mount Pleasant. 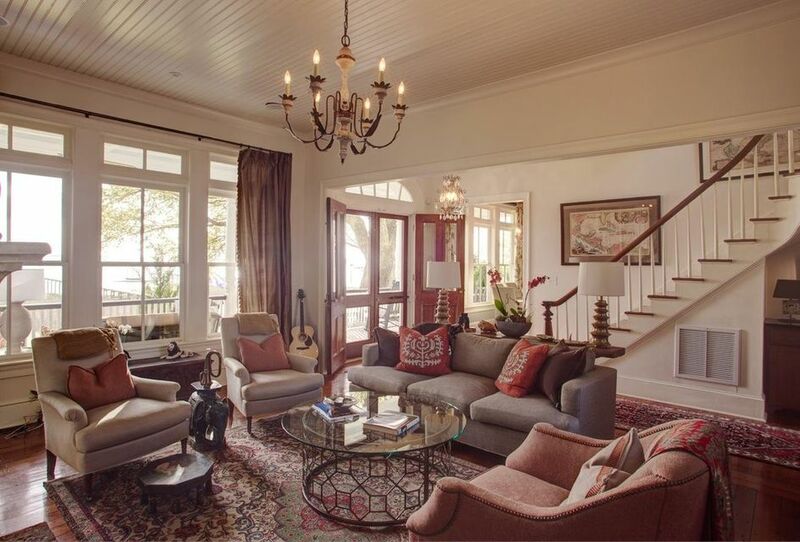 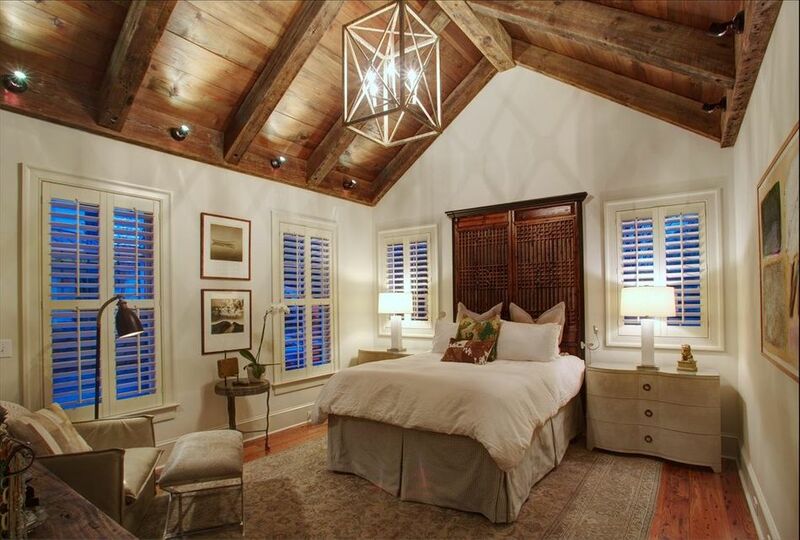 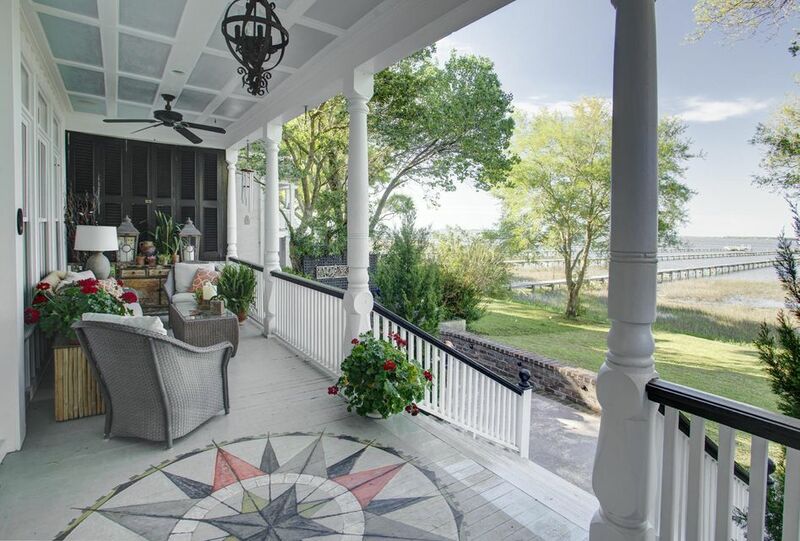 An artfully restored interior, a rich history, a private deepwater dock and sweeping views of the harbor and downtown Charleston make it truly a one-of-a-kind property. 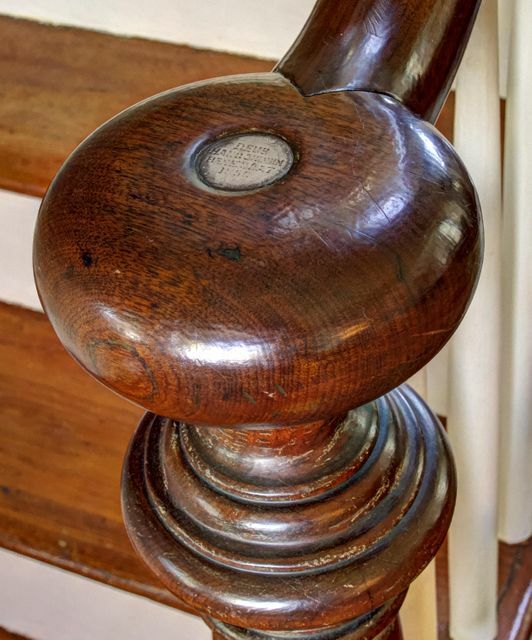 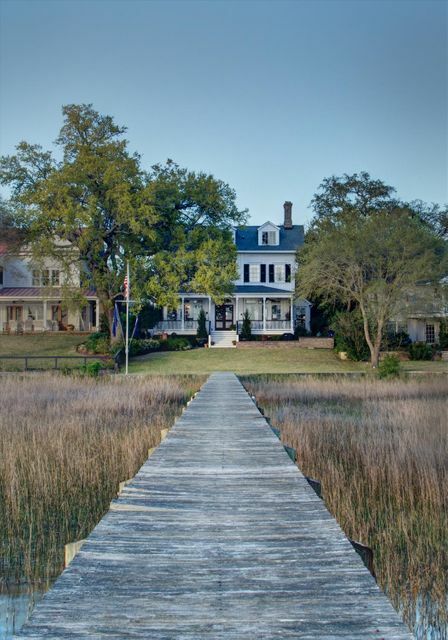 The home was originally built in 1858 under the direction of Captain George Washington Cullum, a United States Army engineer, and served as Mount Pleasant's lighthouse and keeper's dwelling. 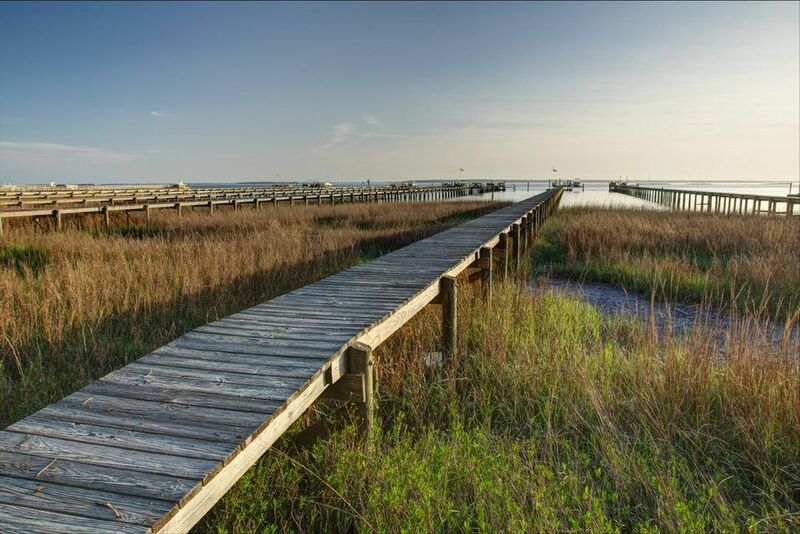 It was built as part of a plan to upgrade the navigational aids in Charleston Harbor and remained in use as a beacon tower until the Civil War. 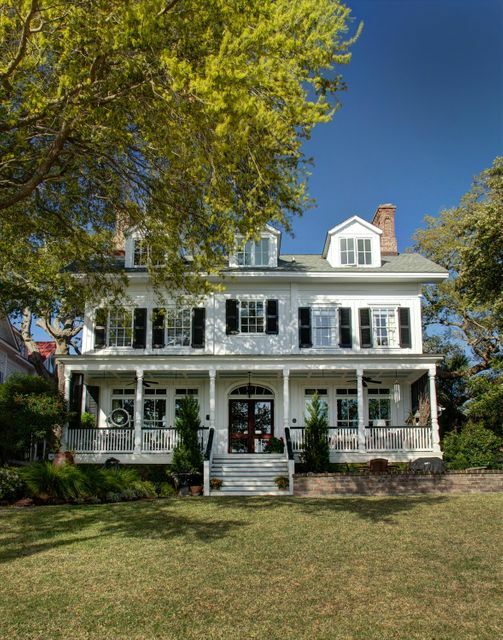 Following the war, the residence continued as a dwelling for the keeper of the channel lights and buoys in Charleston Harbor until World War II when it was sold by the federal government. 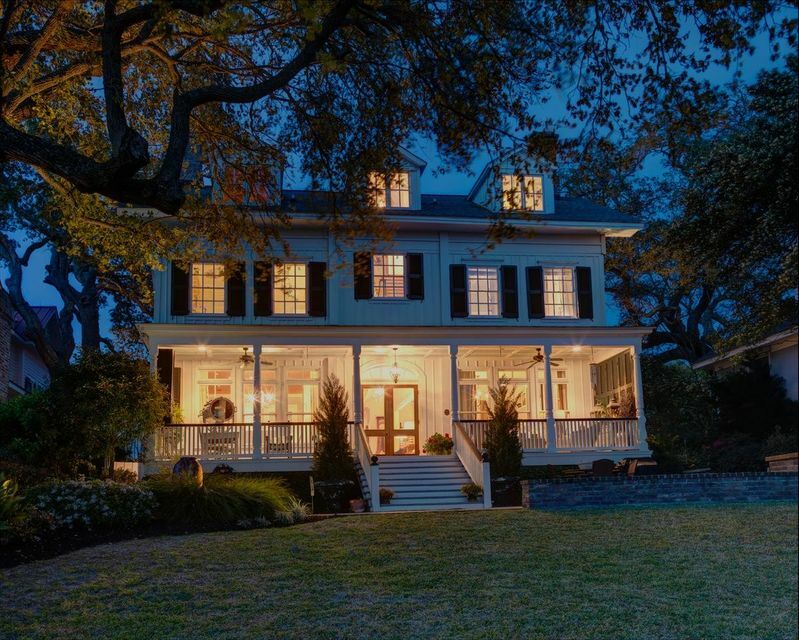 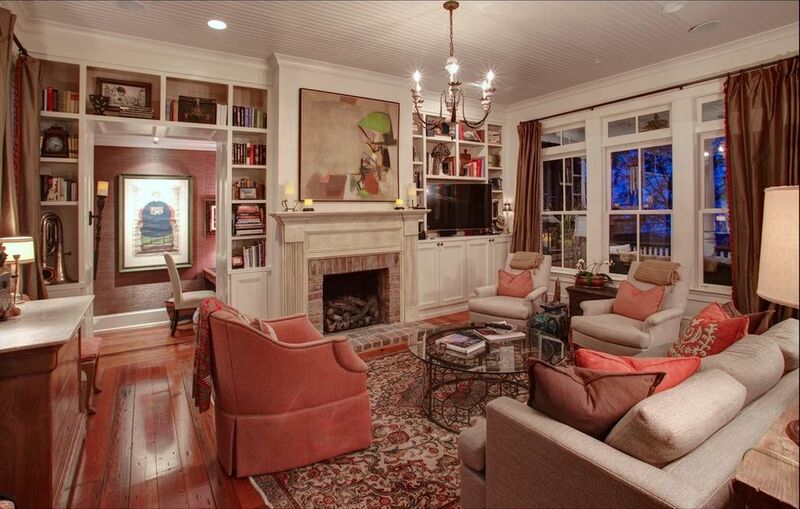 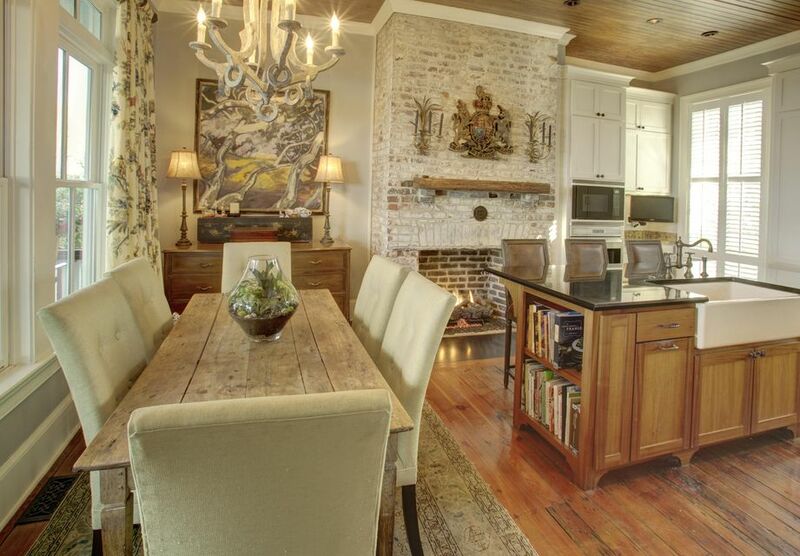 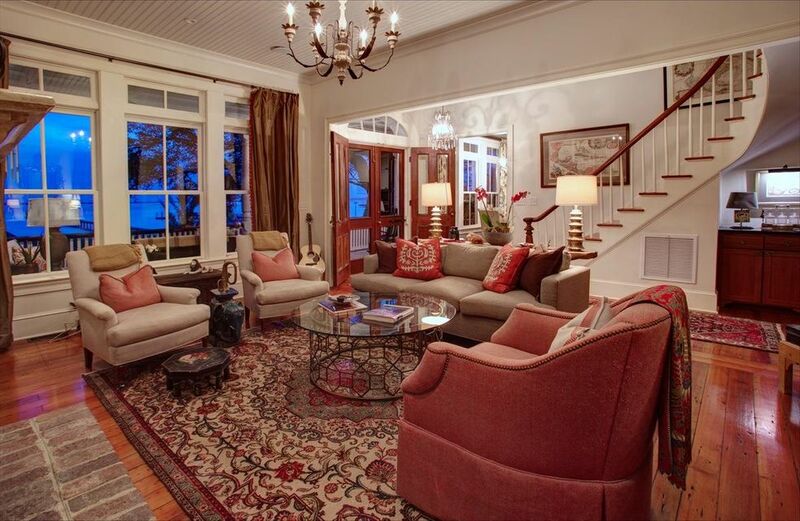 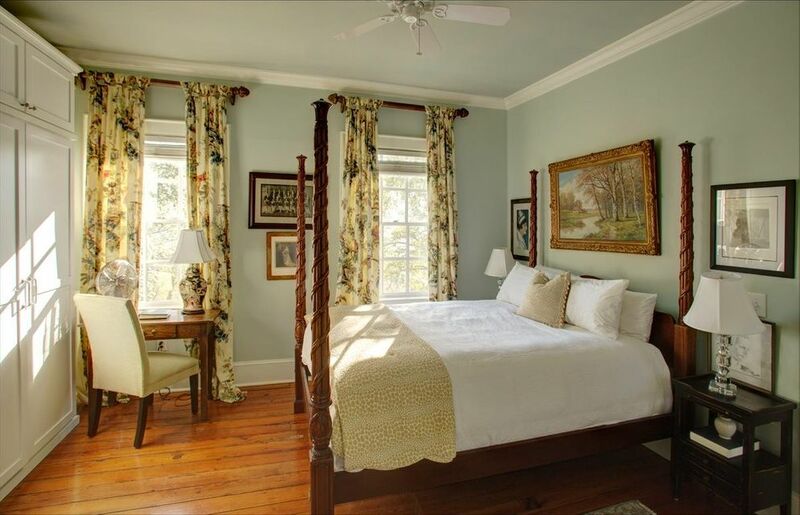 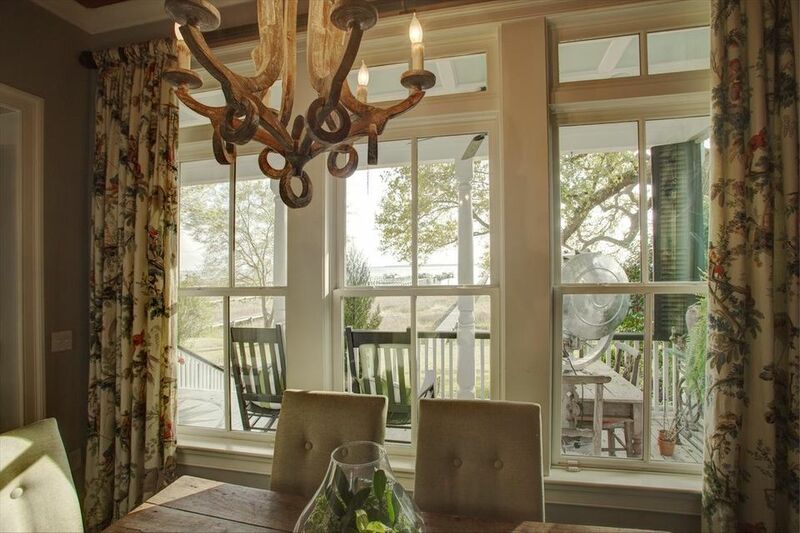 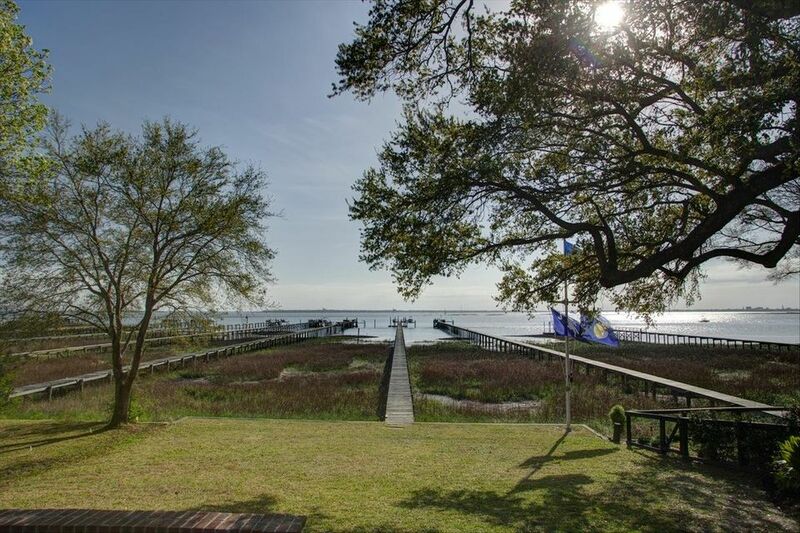 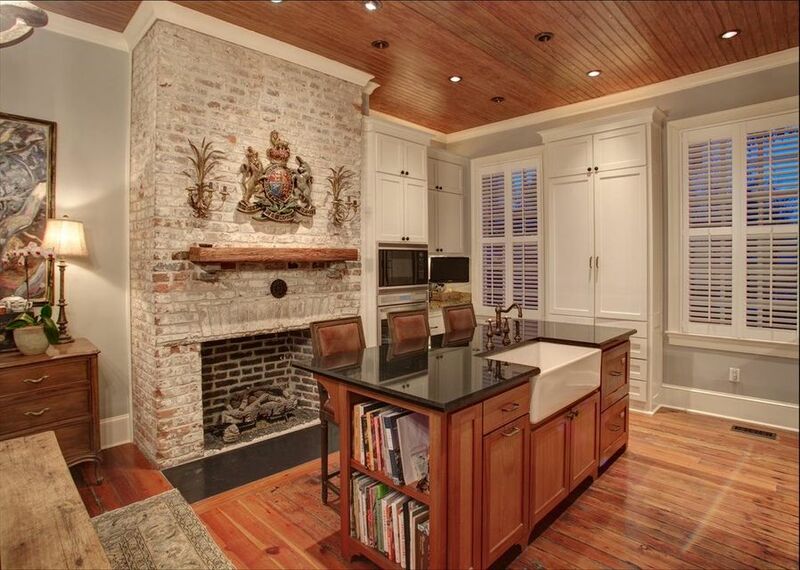 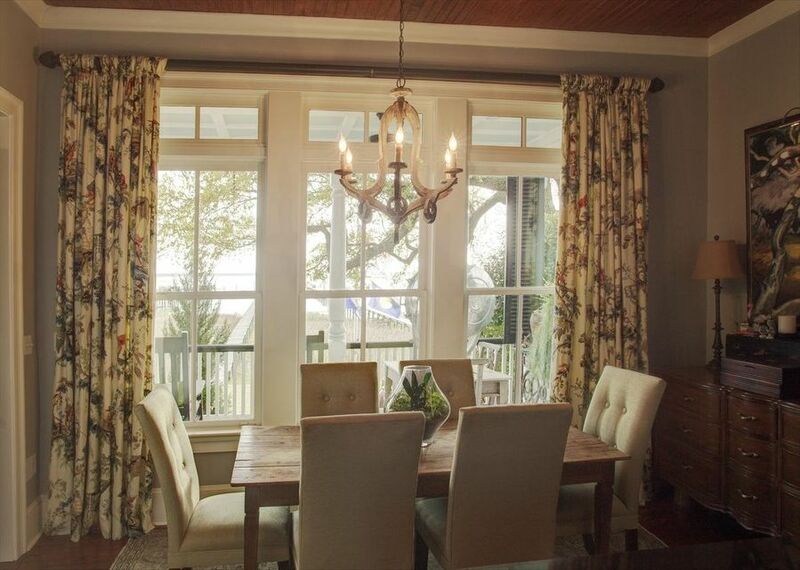 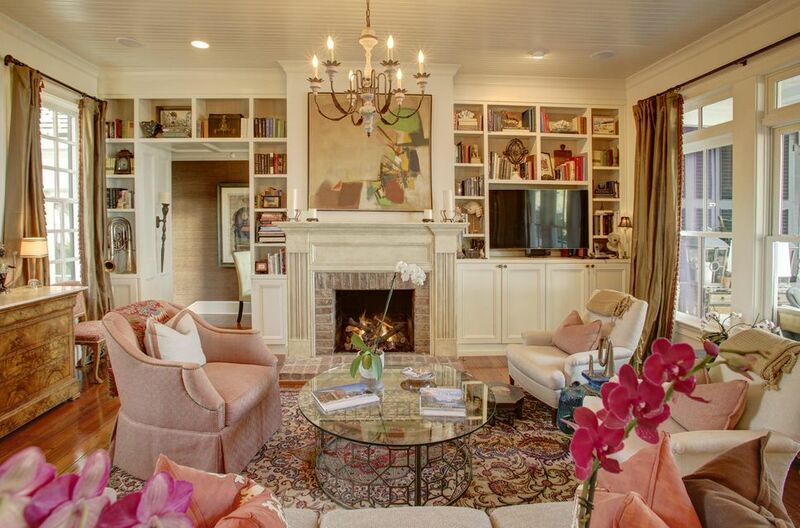 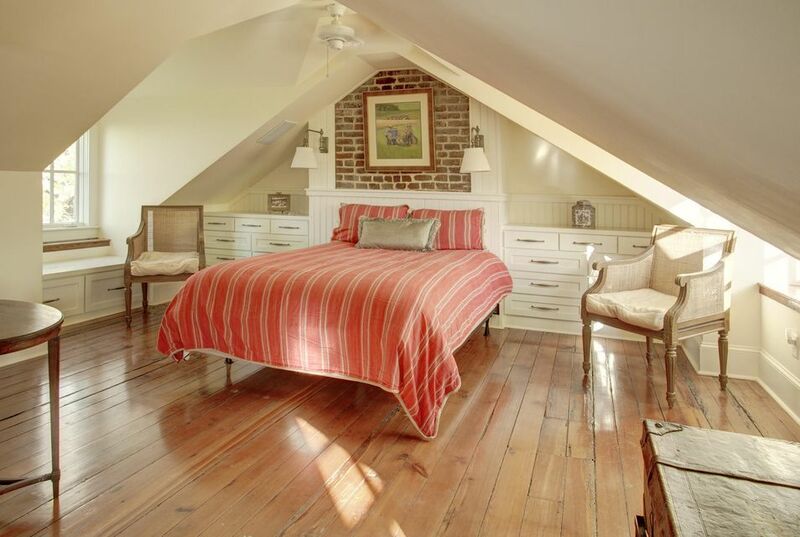 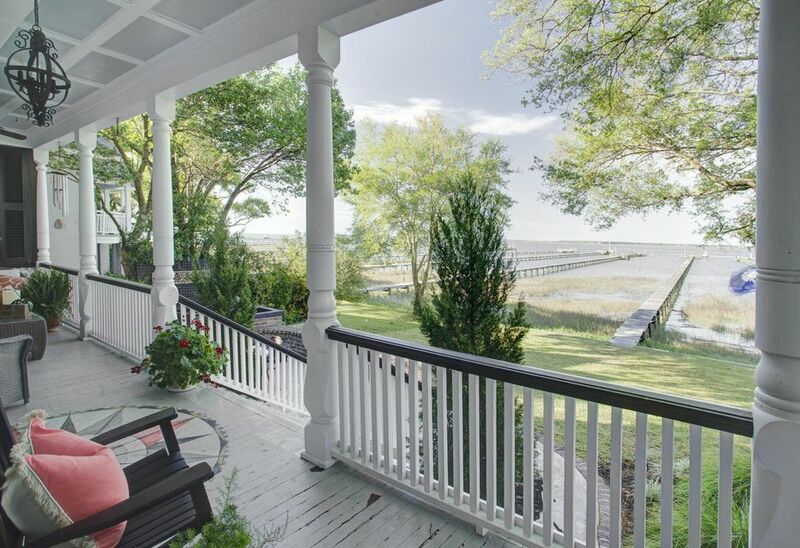 The home sits on a beautiful quarter-acre lot abutting the Charleston harbor. 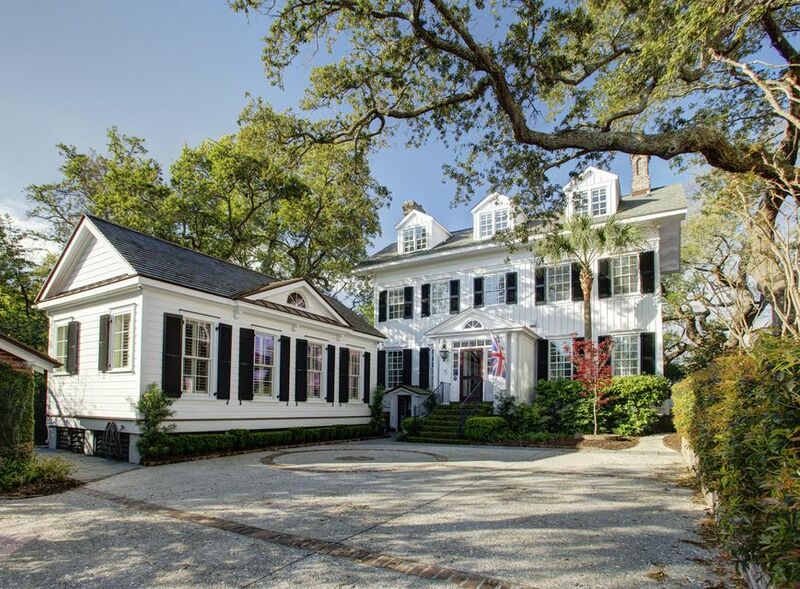 Moss-draped live oaks, extensive landscaping and manicured grounds evoke the Lowcountry spirit. 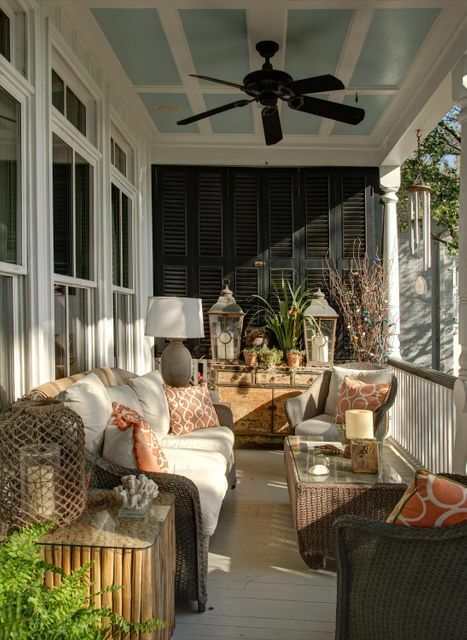 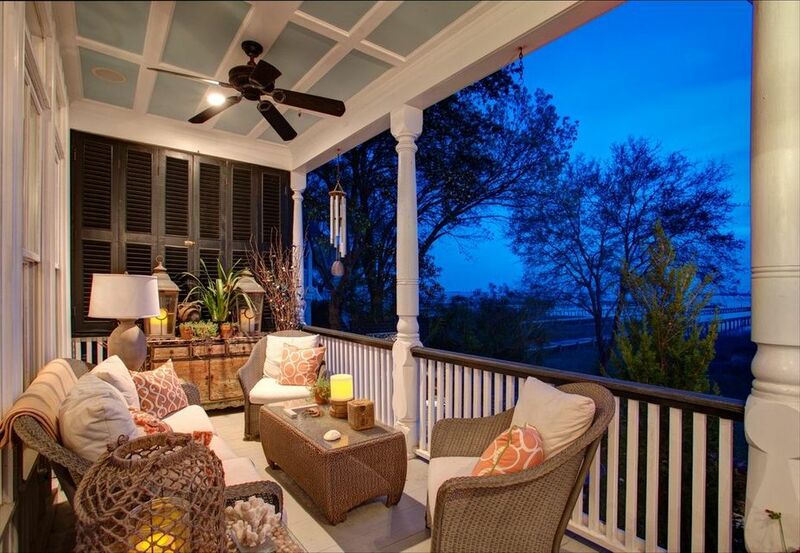 An expansive back porch overlooks the property with panoramic views of the Charleston Harbor. 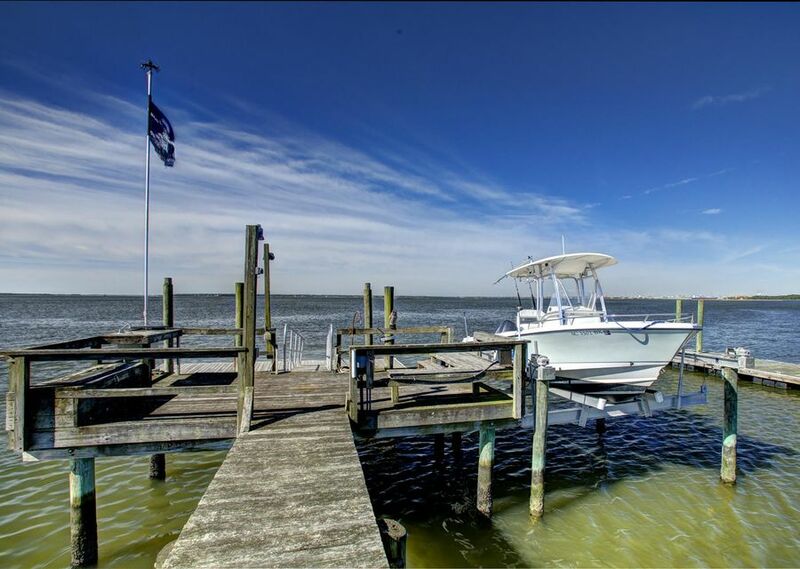 A private dock, with built-in seating and a boat lift, extends into the water. 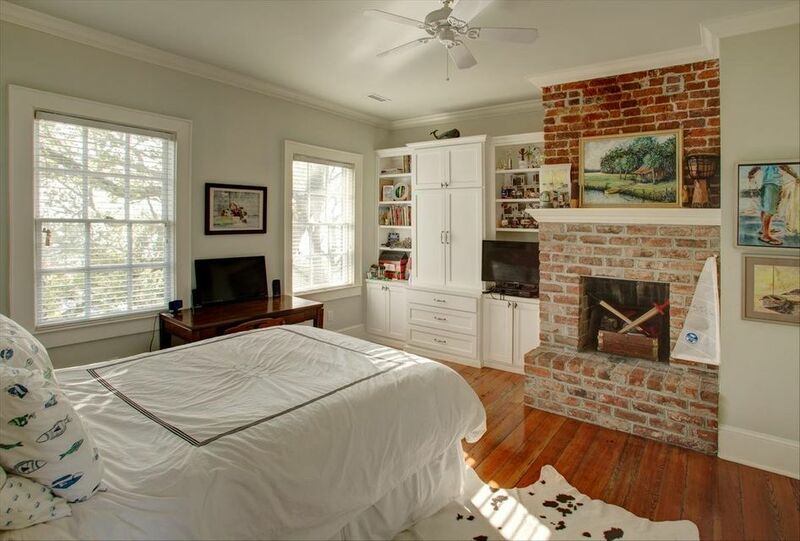 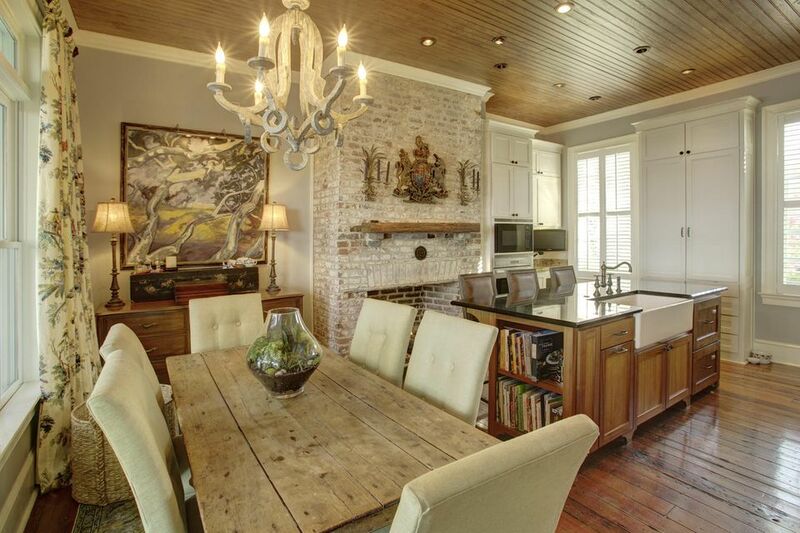 The interior of the home is equally captivating with original hardwood floors, exposed brick detailing and large windows overlooking the water. 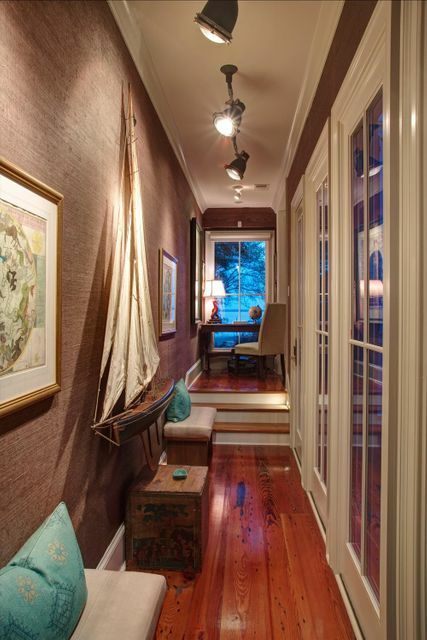 Upon entering, the central foyer leads straight through to the back porch with a formal living room to the left and the kitchen and dining room to the right. 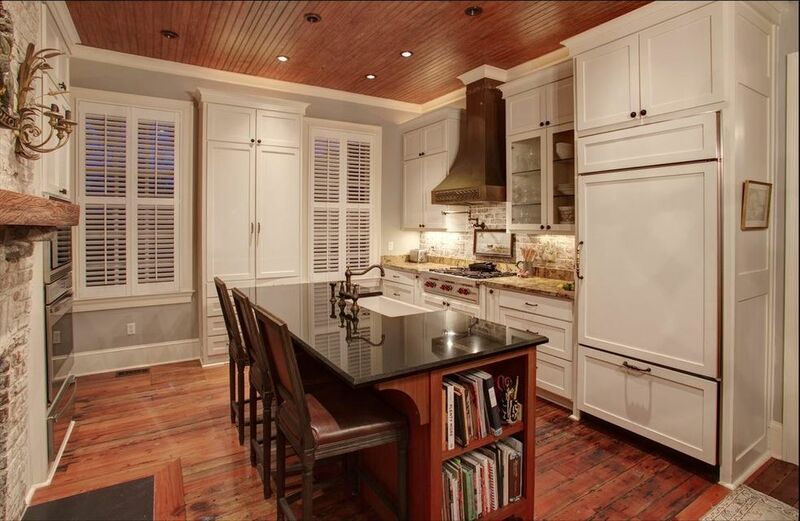 Tall ceilings, built-in bookshelves, a wet bar and a gas fireplace are some highlights of the living space while the gourmet kitchen has granite counters, a Sub Zero fridge and Woolfe appliances, a farmhouse sink, an exposed brick fireplace, custom cabinets and a large formal dining area. 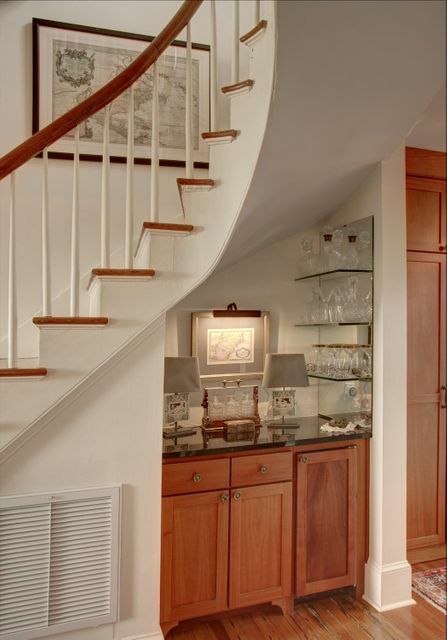 An expansive master wing, added by the current owners, is also located on the first floor. 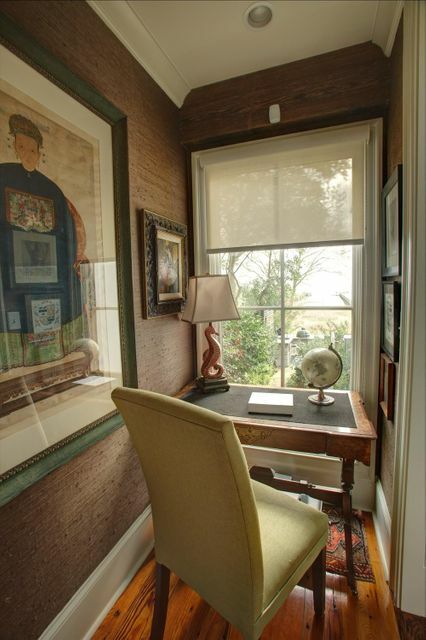 A long hall with floor to ceiling windows overlooks the blue stone courtyard and Italian wine cellar and a small office nook looks out over the harbor. 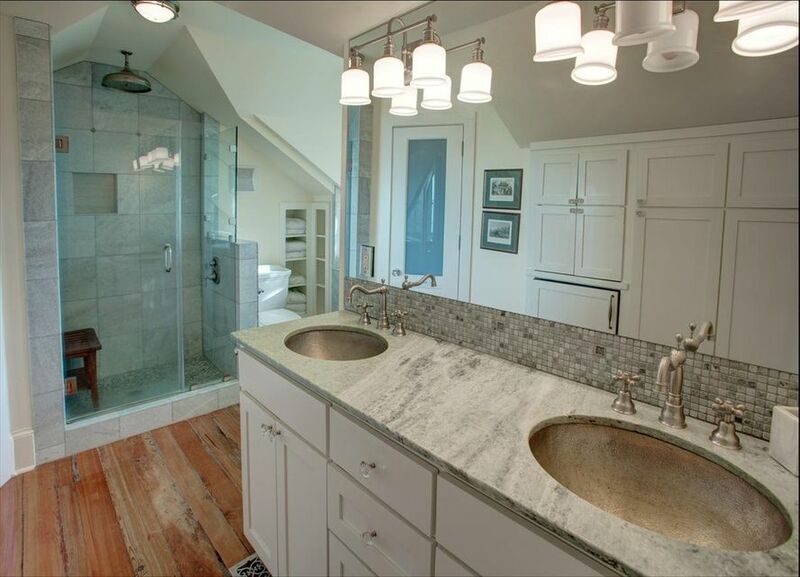 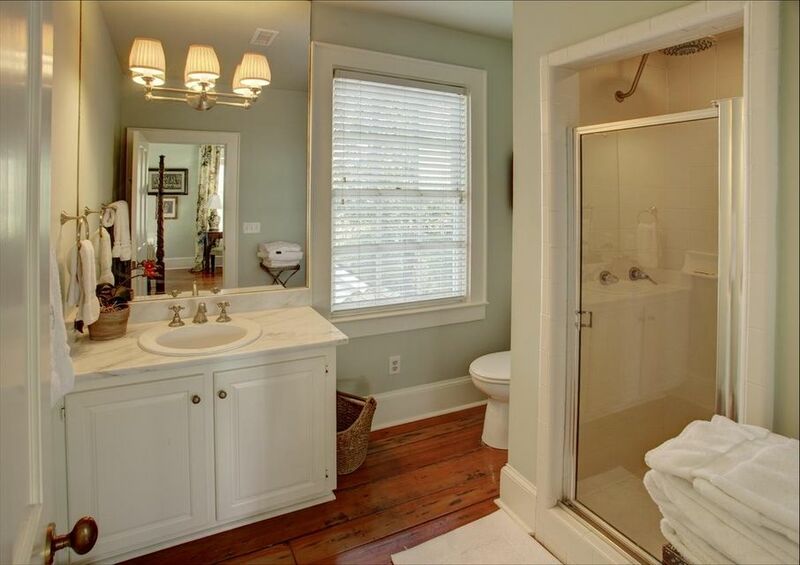 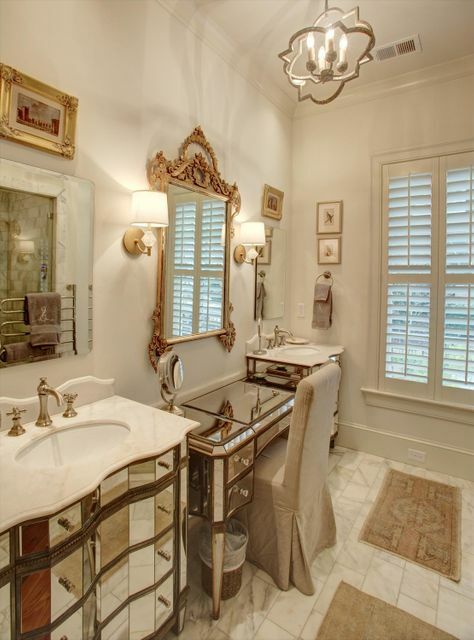 The elegant master bath has many luxurious finishes including mirrored dual vanities, custom lighting and a Calcutta marble steam shower while the large bedroom has a vaulted wooden ceiling, multiple windows and beautiful heart pine floors. 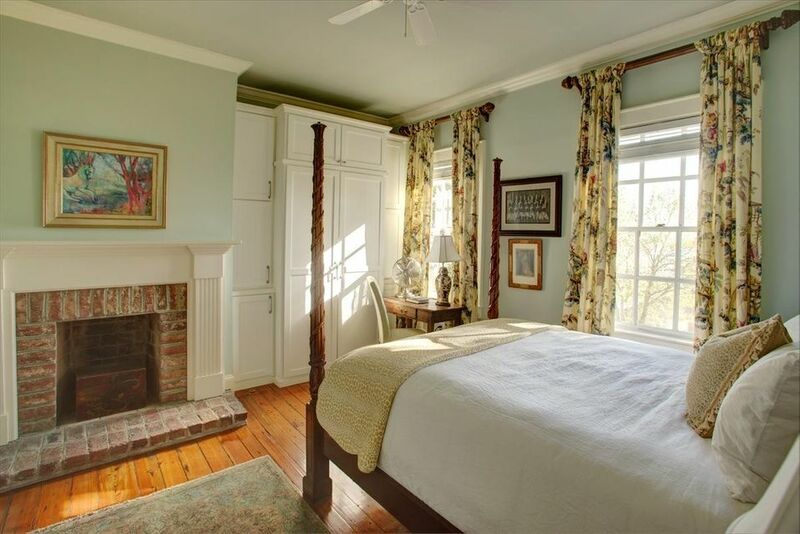 The second floor has two identical guest bedrooms with water views, decorative fireplaces and en suite baths with marble-topped vanities and tiled showers. 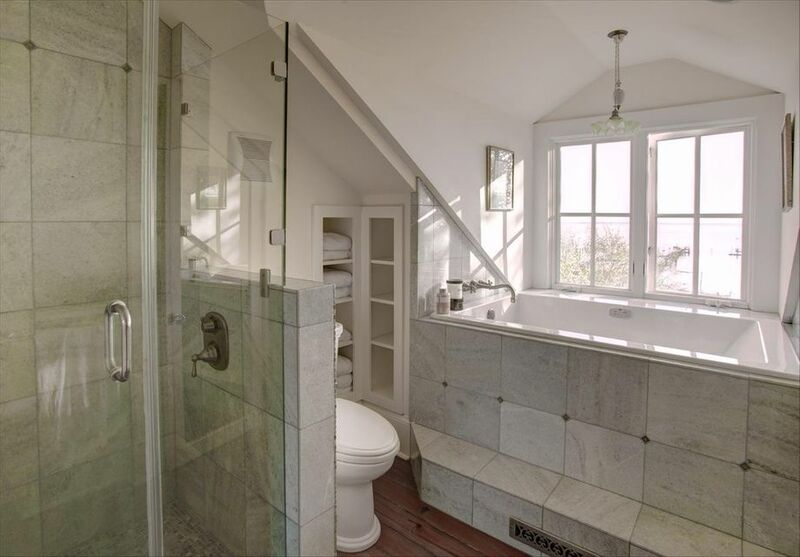 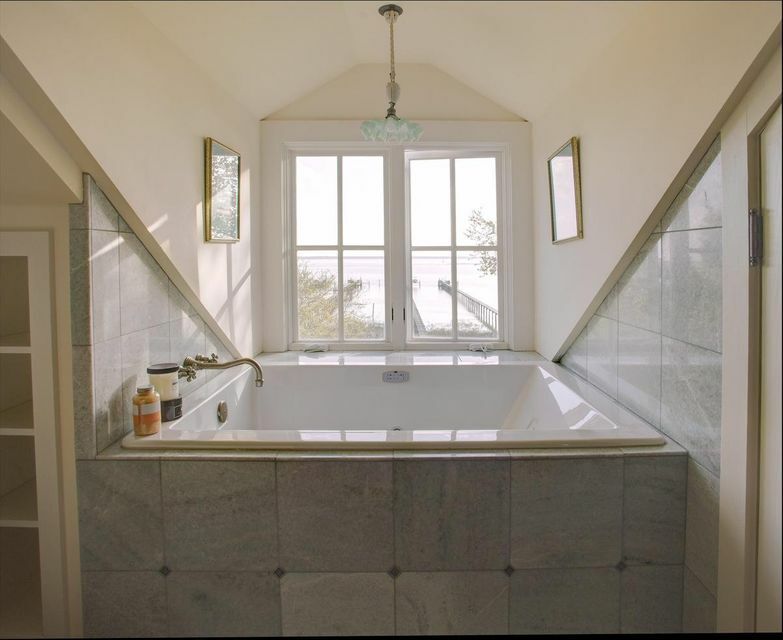 The third floor is home to a secondary master suite encompassing the entire floor with built-in storage, an office, and a full bath with a tiled shower, marble-topped vanities and a jetted tub overlooking the harbor. 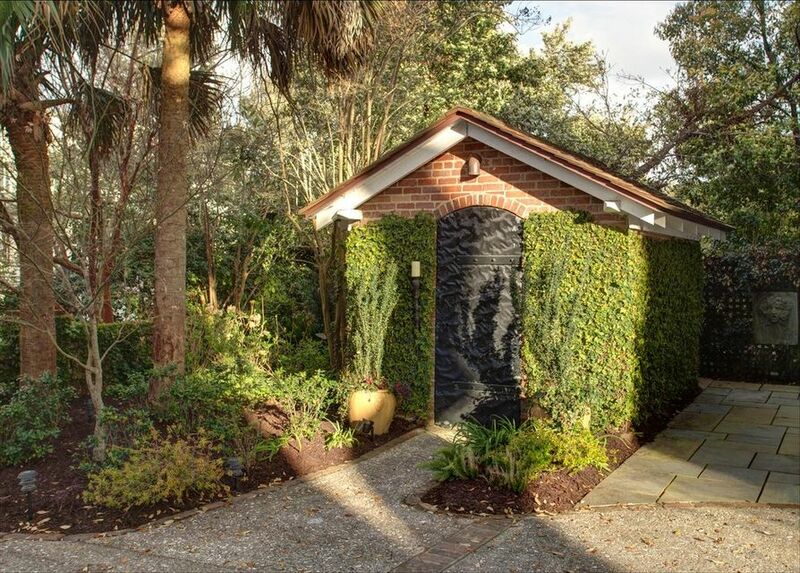 A large driveway and ivy-covered shed provide plenty of room for parking or storage. 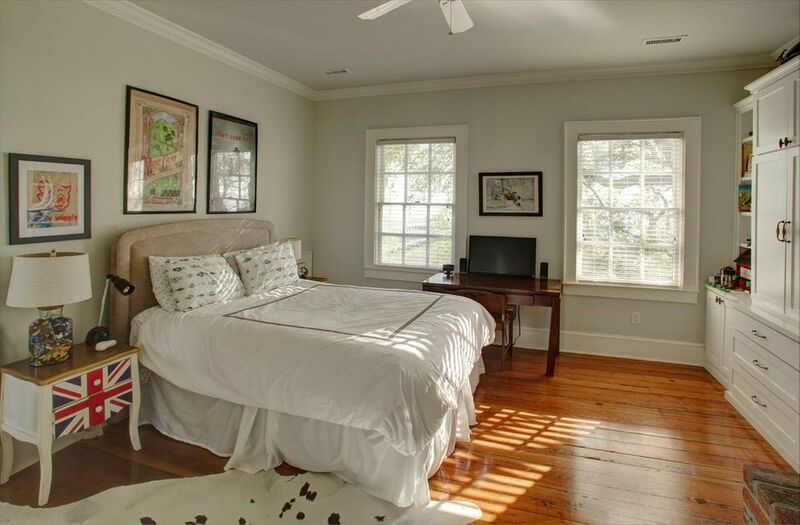 The home is situated within the heart of the Old Villageâ€”walking distance to local parks, shops and restaurants.